← Lions, Leopards, and Storms, Oh My! Alaska, the spring breakup flood potential is forecast to be normal to below normal. Timing is expected to be slightly earlier than the median based on lower than normal ice thicknesses and higher than normal forecast temperatures. 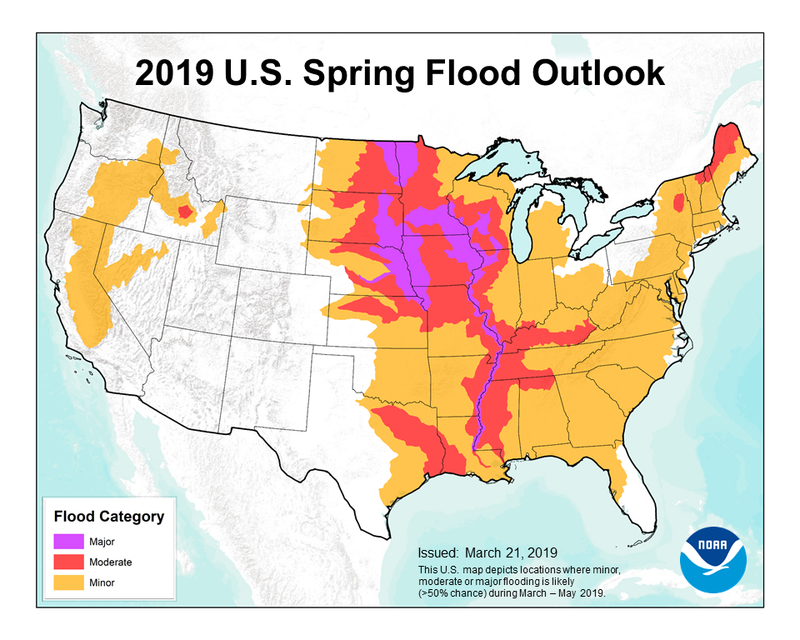 The spring flood outlook for the Mississippi River system is anticipated to create conditions conducive to hypoxia development and lead to an above average to large hypoxic zone in the northern Gulf of Mexico this summer. Nutrient loads from river discharge into the Chesapeake Bay are projected to produce an average hypoxia zone this summer. This entry was posted in Weather Articles and tagged flooding, Spring Flood Outlook. Bookmark the permalink.